Lineage. Constituted as 37 Pursuit Squadron (Interceptor) on 20 Nov 1940. Activated on 15 Jan 1941. Redesignated as: 37 Pursuit Squadron (Interceptor) (Twin Engine) on 31 Jan 1942; 37 Fighter Squadron (Twin Engine) on 15 May 1942; 37 Fighter Squadron, Two Engine, on 28 Feb 1944. Inactivated on 9 Sep 1945. Redesignated as 37 Fighter Squadron, Jet Propelled, and activated, on 20 Nov 1946. Redesignated as 37 Fighter Squadron, Jet, on 20 May 1948. Inactivated on 2 Oct 1949. Redesignated as 37 Fighter-Interceptor Squadron on 11 Sep 1952. Activated on 1 Nov 1952. Discontinued on 1 May 1960. Redesignated as 37 Flying Training Squadron on 22 Mar 1972. Activated on 1 Jun 1972. Assignments. 55 Pursuit (later, 55 Fighter) Group, 15 Jan 1941; 14 Fighter Group, 1 Mar 1943-9 Sep 1945. 14 Fighter Group, 20 Nov 1946-2 Oct 1949. 4711 Defense Wing, 1 Nov 1952; 517 Air Defense Group, 16 Feb 1953; 14 Fighter Group, 18 Aug 1955-1 May 1960. 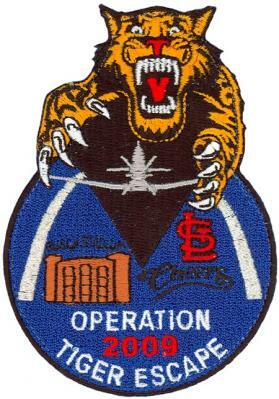 14 Flying Training Wing, 1 Jun 1972; 14 Operations Group, 15 Dec 1991-. Stations. Hamilton Field, CA, 15 Jan 1941; Portland, OR, 21 May 1941 (operated from Paine Field, WA, 7-24 Dec 1941); Olympia, WA, 24 Dec 1941; McChord Field, WA, 8-18 Jan 1943; La Senia, Algeria, 27 Feb 1943; Mediouna, French Morocco, c. 17 Mar 1943; Telergma, Algeria, 5 May 1943; El Bathan, Tunisia, 4 Jul 1943; Ste-Marie-du-Zit, Tunisia, 26 Jul 1943; Triolo Airfield, Italy, 12 Dec 1943; (operated from Corsica, 10-21 Aug 1944); Lesina, Italy, c. Sep 44-9 Sep 1945. Dow Field (later, AFB), ME, 20 Nov 1946-2 Oct 1949. Ethan Allen AFB, VT, 1 Nov 1952-1 May 1960. Columbus AFB, MS, 1 Jun 1972-. Aircraft. P-43, 1941-1942; P-38, 1942-1945. P-47, 1946-1949; P-84, 1947-1949. F-51, 1952-1953; F-86, 1953-1958; F-102, 1957-1960. T-37, 1972-2008; T-6. 2006-. Operations. Air defense, 7-24 Dec 1941. Combat in the European Theater of Operation (ETO) and the Mediterranean Theater of Operation (MTO), 6 May 1943-4 May 1945. Air defense, 1946-1949 and 1952-1960. Conducted Undergraduate Pilot Training (UPT), 1 Jun 1972-Apr 2008. Conducted initial flight training in T-6, 2006-. Decorations. Distinguished Unit Citation: Austria, 2 Apr 1944. Air Force Outstanding Unit Awards: 1 Jan-31 Dec 1974; 1 Mar 1978-29 Feb 1980; 1 Apr 1985-31 Mar 1987; 1 Jul 1992-30 Jun 1994; 1 Jul 1999-30 Jun 2001; 1 Jul 2001-30 Jun 2002; 1 Jul 2002-30 Jun 2004; 1 Jul 2004-30 Jun 2006; 1 Jul 2006-30 Jun 2007; 1 Jul 2007-30 Jun 2009; 1 Jul 2009-30 Jun 2010; 1 Jul 2010-30 Jun 2011. Emblem. Approved 10 Nov 1972.